Over the last decade, America has moved drastically to the left. Not only are more people on the left than ever before, the left is further left than it’s ever been. 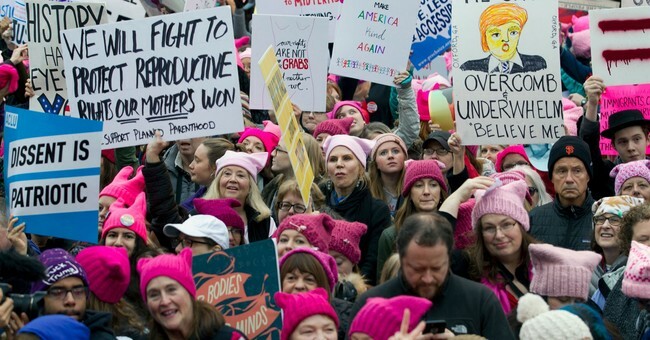 This radical brand of progressivism has come to be known as “leftism”—an extreme yet increasingly dominant segment of the political spectrum. At the same time, America has grown more secular. According to Pew, “religious nones” are rapidly growing in number. These “nones” are most concentrated among millennials: 36% of millennials are religiously unaffiliated. Millennials happen to also be America’s most politically progressive generation. This probably isn’t a coincidence, especially since the same trends have occurred in a similar way in other parts of the world, such as Europe. While correlation doesn’t prove causation, politics and religion are so closely related that it’s hard to believe the simultaneous popularization of extreme leftism and secularism is insignificant. My theory is this: the country hasn’t actually become less religious. Many people have simply replaced traditional religion with leftism. Rather than associating with Christianity, for example, which demands repentance and promises persecution, they have opted for a religion that conveniently offers a sense of righteousness but denies the need to take responsibility for their own actions. Leftism provides many of the same comforts that religion does without the expectation of personal sacrifice. Its adherents can feel that they’re caring for the “least of these” because they vote for policies that empower the government to offer more welfare to the poor. It is a lazy form of compassion, and it is appealing to those who want to pat themselves on the back without having to voluntarily spend of their own time, energy or money. On a personal level, unlike Christianity, leftism doesn’t worry its adherents with sin and life-change. The only sin is to say there’s sin. The only wrong is to say there’s wrong. The highest virtue is one’s own happiness, and the only truth is that which one finds in themselves. This, of course, is antithetical to what the Bible teaches, which is part of why it is very difficult—if not altogether impossible—to be a Bible-believing Christian and a radical leftist. But there’s another reason. While leftism may not require personal responsibility, generosity or morality, it does demand everything of its devotees. It aims to conform the mind, the heart and the soul fully to its agenda. There is no room in leftism for disagreement on abortion, gender, sexuality, immigration, race or economics. All reasoning must be guided by intersectionality. All thoughts must be centered on some vague notion of social justice. There is no tolerance for defection. That’s a problem for religious people, who are bound to a higher calling than that of any political ideology, and whose values are often incongruent with the controlling ethics of leftism. Many religious people are against abortion. Many religious people are for traditional marriage. Many religious people fear that too much government will mean less religious liberty. So, these religious people have a choice to make: allow their spiritual principles to submit to leftism, or allow their politics to be guided by their spiritual principles, which, undoubtedly, disqualifies them from being a “good” leftist. Christianity, in particular, is incongruent with this brand of leftism. Jesus asks his disciples to deny themselves, take up their crosses and follow Him (Luke 9:23). So does leftism. Jesus asks for Christians’ whole hearts. So does leftism. No person can serve two masters (Matthew 6:24). Those who identify as Christians and as leftists have either not yet discovered the complete sacrifice that will eventually be asked of them by leftism, or they’ve already abandoned their religious views in favor of their political ideology. Leftism is not just against traditional religion; it has replaced it. It is its own religion. And, like all religions, it excludes adherence to any competing value system. It is its religious nature that has made its believers so fiercely defensive. It is why they cannot stand disagreement. Those who disagree are not just wrong, they’re blasphemers, heretics and apostates who must be dealt with accordingly. Religious people can have legitimate differences on policy without forsaking their values. They can honestly disagree on taxation, immigration, guns, welfare and healthcare and still unite under the banner of their faith. Since God transcends political parties, and is therefore neither a “conservative” nor a “progressive,” there is room for debate between religious people of various political views. But it is very difficult for religious people to ascribe to any ideology that both opposes their beliefs and demands all-consuming worship the way leftism does. That is why so many, it seems, have abandoned the perceived strictness of religious institutions and opted instead for the religion of leftism, which simply requires that you leave all moral, social and economic decisions up to the progressive powers-that-be. What they may soon realize, however, is that the government is not—and never has been—a merciful god.